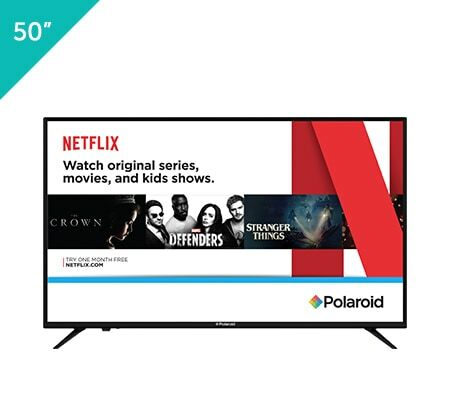 Polaroid 4K Ultra HD (UHD) resolution smart televisions provide entertainment lovers with a cinema style experience with four times the resolution of a full HD TV. The integrated smart platform lets you access your favorite entertainment via apps built-in to the TV user menu. This line of 4K TV’s offers the highest quality picture resolution. Experience stunning color and contrast and exceptional clarity thanks to HDR technology.